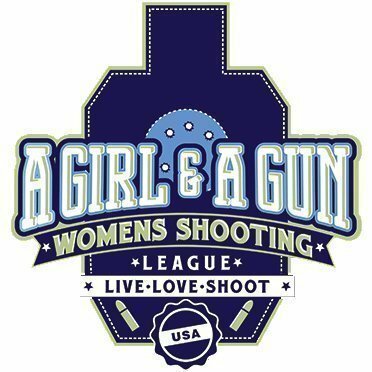 This blog post is part of a 3-part series that, together, make up an AAR of the 7th Annual A Girl & A Gun Women’s Shooting League National Conference. Held at Reveille Peak Ranch in Burnet, Texas, April 8—14, 2019, the conference brought together more than 450 AG&AG members and leadership and 40 top-tier instructors for a total of 8 days of networking, education, and training. The first two days of the A Girl and A Gun Women’s Shooting League National Conference are for chapter leaders—facilitators and their primary helpers, or “A”-Team members—to learn more about the organization and build a toolkit for chapter success. About 60 women converged on the Burnet Community Center for this part of the conference. It’s exciting to see this organization evolve. With thousands of members across the U.S., AG&AG is the premier women’s shooting organization. The rapid growth we’ve seen since Julianna Crowder launched her first Austin chapter nearly a decade ago has led to an administrative need for standardization and training resources. Leadership training included the introduction of a new standard safety brief for all AG&AG events, a continued focus on medical training as part of a standard range response plan, the launch of a new training website for members (agagtraining.com), and the continued push for chapter and national communication through a unified platform. Tiffany Johnson of Citizens’ Safety Academy led the training development program with an Assistant Instructor skills workshop. Much of her presentation focused on running a safe line from the perspective of what an instructor needs from an AI. Every AG&AG facilitator and “A”-Team member is required to maintain NRA Range Safety Officer certification. While past training modules focused more on the roles and responsibilities of the RSO, Tiffany delved a little more deeply into hosting and assisting. Since the purpose of the National Training Conference is to provide a sampling of classes from top-tier trainers and inspire women to seek out more extensive training, Tiffany’s presentation gave facilitators and their teams a good baseline for hosting classes for their chapters. As always, safety was a major theme. From range selection and target setup to spotting common safety issues on the line, Tiffany conveyed a lot of information in a very short time frame. I look forward to her continued involvement in training and leadership program development for A Girl & A Gun. Leadership training with AG&AG has become an opportunity for chapter leaders to earn certifications that benefit the members and their communities. Last year, attendees earned Stop the Bleed certification through Dark Angel Medical. This year, certification options included American Heart Association Heartsaver CPR and AED training and NRA Refuse To Be A Victim Instructor certification. I chose the AHA class but was happy to see my three “A”-Team members complete the certification options they felt best suited them. Temple chapter leadership members now hold a combined two TCCC Stop the Bleed certifications, two AHA Heartsaver certifications, and three NRA RTBAV Instructor certifications. In addition to the new standard safety brief, A Girl & A Gun has developed brand standards. As an independent marketing consultant by day, I’m 100% in support of this move and have offered to provide some proofreading and guidance as chapter facilitators develop marketing materials. Protecting the brand in the face of rapid growth and expansion is a challenge that AG&AG will continue to face, and it’s the role of leadership to help ensure consistency and adherence to brand standards. Consistency builds trust, and that’s paramount to our mission of sharing our love of shooting and helping educate and empower women in the process. The pre-conference portion of the week wrapped with facilitator instructor certification classes and an Early Bird Lecture Day that featured various speakers. I didn’t attend either of those portions, as I had to make a quick trip home to be Mom that day. It’s track season, after all, and I’m married to a coach. It was a nice break during a long 8 days away from home. Conference 2018 was my second time flying with Heligunner. I highly recommend it! Gear check is an essential element of the conference. One addition to this year’s attendee preparation was a series of emails and videos outlining for participants what gear they needed to bring, what skills they needed to work on, and how they would be expected to demonstrate minimum proficiency with their firearm upon arrival. Participants show up to conference with a variety of gear, but thankfully we’re way past the initial conference days of new guns that have never been out of the box. Every woman coming to conference was provided detailed instruction (and some hefty sponsor discount codes) on how to select an appropriate training holster, the importance of a sturdy belt, and how to be a good student and listener. Gear check is run by facilitator/instructors and serves as one-on-one verification that a woman’s gear is appropriate, that she knows how to perform specific administrative functions with her gun and is physically capable of doing so, and that any questions or difficulties are addressed before she attends her first class. A Girl & A Gun Women’s Shooting League Founder Julianna Crowder and her partner, CEO Robyn Sandoval, have developed relationships with vendors and sponsors whose contributions make conference possible and still affordable for attendees. Title sponsor for the 2019 conference was Sig Sauer, and other sponsors and vendors with demo bays included CZ-USA, Glock, STI, Walther, Mossberg, Quarter Circle 10, Bowers Group, Stag Arms, Bond Arms, Pepperball, Gun Tote’n Mamas, Texas/US Law Shield, Glamour N Guns, Dene Adams, and so many others I can’t remember because there wasn’t enough time to visit them all. I made it a point to participate in the steel challenge competition, but didn’t win the Sig P365. I also ran over to the Stag Arms bay for some full auto fun switch time, stopped by to visit with Gabby Franco at the Walther bay, checked out the new Mossberg MC1sc (I likey), and test-fired each version of the CZ P-10. I see a CZ in my future. Champion shooter Gabby Franco worked the Walther Arms bay and offered the popular PPS and PPQ for the curious to try out. The sponsors and vendors who support AG&AG are the smart ones. Once women learn just a little bit about shooting, they’re no longer moved to purchase any piece of equipment just because it’s pink or purple and comes with a sparkly bag or some other nonsense. AG&AG local events help women develop their own opinions about gear through experience and education, and they quickly learn that just because a baby gun “feels nice” in their hands in a gun store, that doesn’t mean they’ll enjoy shooting it or be able to shoot it well. Why are AG&AG vendors smart? They provide women the opportunity to try out their products. These informed gun owners also happen to be women, and women love to shop. Demo day is where many conference attendees start making their wish lists for future gun and gear purchases, and a little discount code love goes a long way in developing their brand loyalty and growing a customer base that is referral-heavy. The industry is growing up with A Girl & A Gun and realizing that slapping a girly color on a gun or a holster is patronizing. It ultimately drives away the informed and active consumers who develop brand loyalty and become the educated influencers in their peer groups. A Girl & A Gun members are demanding more from an industry that needs them, and the industry is listening.